Yes, but inside the baby was the "lose bone" of the Tzaddik Isod Olam. 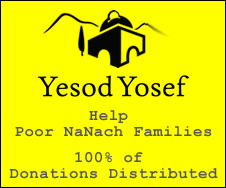 This inherited trait is now accessible to all through a gift from Rabbi Nachman (the purest of all real men) to all those who will read his 10 psalms. You read those psalms you are doing him a "favor" because they are HIS psalms. You also have YOUR 10 psalms and hopefully you will be able to find them once you like Moshe and Saba are based solidly on the Tzaddik Isod Olam. Lose bones are no longer needed for this! "I WILL MAKE YOU LIKE ME MAMASH AND EVEN PI SHTAYIM (THE DOUBLE)."